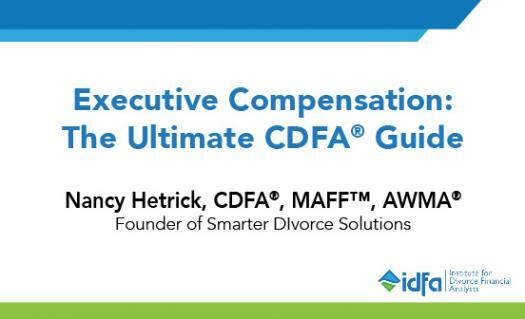 IDFA's September webinar gives you an in-depth understanding of exactly how to handle the most common executive compensation awards in a divorce situation. Watch the webinar on the IDFA website. Please complete the following quiz for one hour of CE credit for your CDFA designation. This quiz will be available until December 31, 2018.